We call ourselves a TEAM and not just a staff! All team members are Certified Chiropractic Therapy Assistants (CTA) with the State of Tennessee, and cross trained to help you in every area of the clinic. So whether you need help with your exercises, need to schedule an appointment, or have questions about your bill, just ask any team member and we can help you! Jessie Bowman, CTA, FMT Cert: Jessie started with Community Chiropractic in March 2016. She previously worked in customer serves as a data entry representative for an insurance office and manager of a local restaurant . Since then, she has mastered many office task here a Community Chiropractic and has completed her Chiropractic Therapy licence. She has recently taken over the role of Billing and Office Manager. She has many hours of billing and insurance training. She oversees the day to day collections of insurance and patient payments. Jessie is also our secondary HIPPA Compliance Officer. If you need assistance in any area of the clinic, just ask Jessie. 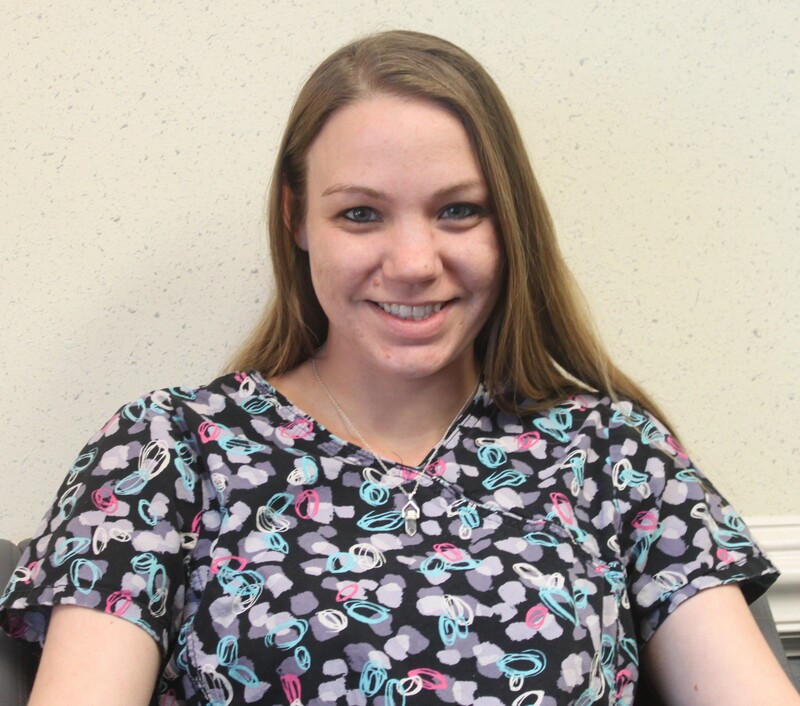 Ashleigh Cullum, CTA, FMT Cert: Ashleigh comes to Community Chiropractic from The Millington YMCA, where she was an office coordinator for 6 years. She has many years of customer serves experience. Since joining our team at Community Chiropractic she has mastered front desk receptionist and has earned her license in Chiropractic Therapy. Ashleigh is also our HIPPA and OIG Compliance Officer. If you have any questions about appointments, insurance, payments, office visit, therapies or products we sell, just ask Ashleigh. Brooke Moren, CTA, FMT Cert: Brooke is a Tipton County native and has been with Community Chiropractic for over 6 years. She has worked in customer serves for many years. Before becoming a member of Community Chiropractic she worked for a local animal hospital. She received her Certification for Chiropractic Therapy in 2013. As you are on your way back to therapy, Brooke will greet you with her smiling face and great energy. If you have any questions regarding therapies, or need assistance, let Brooke know. Rebekeh Blazer, Office Intern: Rebekeh is our newest Chiropractic team member. She is interning with us from Brighton High school, where she is their 2017-2018 HOSA President. After graduation she will be attending college for nursing. You can find her at our front desk where she can assist you with appointments, payments, or questions you may have.